Facing challenges of managing careers and personal goals, women sometimes struggle with how to develop their own leadership styles and effectively embrace their power and status in the workplace. To reach the highest levels of leadership, it is essential for women to recognize,understand, and transform common business challenges and organizational strategic priorities into career development opportunities. For more information on the Women's Leadership Institute please click on the image below to download. April 30: Be Part of the Incubator Ecosystem in Westchester! June 6th: Annual Women's Leadership Summit: Ignite Your Power! Investments of funding, time, and expertise enable the Women’s Leadership Institute at Manhattanville School of Professional Studies to provide innovative programs, events, and research initiatives to advance women’s leadership by providing the personal and professional development of women through a comprehensive array of educational programs, mentoring and coaching, and training. Generous gifts from individuals, foundations and corporations to the Institute help to fund these projects. Each year we will seek funding to support programs, events, and special opportunities such as internships and research projects, national and international conferences, leadership workshops, advising for graduate school and career next steps, and interviews with women leaders. Corporations are involved with the Women’s Leadership Institute to develop their corporate culture by advancing leaders to achieve more for their organizations, demonstrating proficiency in business acumen, strategic thinking, negotiation and influencing skills, technology literacy and resourcefulness, initiative and risk-taking, and executive presence. Leading companies participate in the Lead with Distinction academic certificate program, sponsoring selected mid-level female professionals, or managers of high potential female professionals, for a series of leadership workshops and coaching sessions, culminating in academic certification by the Manhattanville School of Professional Studies. The target audience may also include female professionals seeking to develop the highest levels of leadership as entrepreneurs. Target launch: Fall 2015. 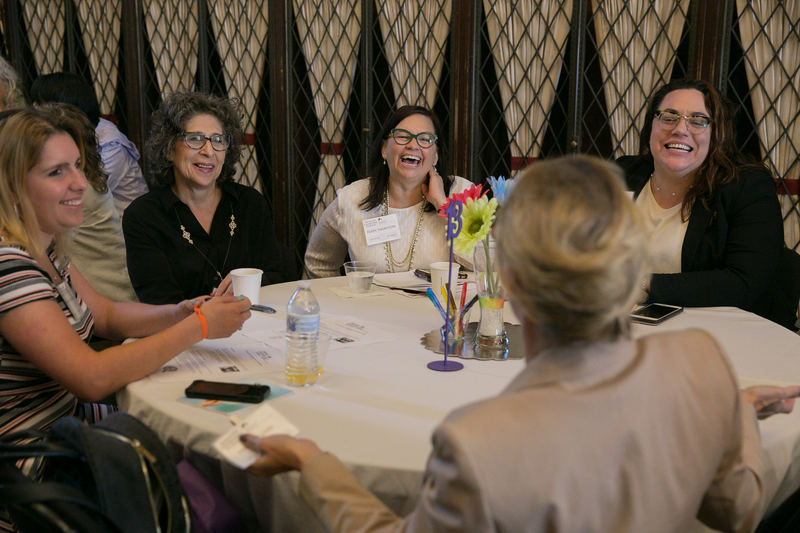 Through philanthropic gifts, companies support women's leadership education and research through the Women’s Leadership Institute as we offer conferences, programs and events, research, academic certifications, workshops, webinars, mentoring and coaching programs, and more. Outright gifts of cash, securities, and real estate have an immediate impact. A pledge is a formal statement of intention to make a gift. It may be followed by an immediate gift or may outline your intention to make a future gift. Many donors complete a pledge by making regular payments over a period of time, usually over five years. An endowment may be established with gifts of $100,000 or more to provide continuing support to a designated program. The endowment is maintained in perpetuity, with a portion of the annual investment return used for purposes specified by the donor. A gift of long-term appreciated marketable securities helps you save taxes twice by providing an income tax charitable deduction and a capital gains tax savings. A gift of closely held securities may allow the donor to enjoy tax savings and has the potential to increase income from the donated stock. Many corporations match or multiply their employees' gifts up to a set amount. Before you make a gift, you should ask if your employer participates in such a program. Planned gifts have specific tax advantages and can include lifetime income to a donor's beneficiary. Advantages include income and capital gains tax savings, increased income, and possible estate tax savings. For more information about supporting the Women’s Leadership Institute, contact Kathy Meany at kathryn.meany@mville.edu or by phone 914.323.1482. Checks or credit card gifts can be made payable to the Manhattanville School of Professional Studies Women’s Leadership Institute and mailed to: Manhattanville School of Professional Studies Women’s Leadership Institute, 2900 Purchase Street, Purchase, NY 10577. Please click to see more of our 2015 Photo Gallery.